Your privacy protection. Guard privacy 24/7! Lock your apps with app password lock, pattern lock, photo vault. Supports applock must-haves: App Locks, Intruder Selfie & Lock Disguise. MAX AppLocker – the app lock – gives privacy protection for your android. Various locks are provided, such as whatsapp lock and notification lock, which makes app lock a must-have privacy guard. Download Max app locker, enjoy app lock free! *App Locks – App lock for all apps, both app password lock & pattern lock available! 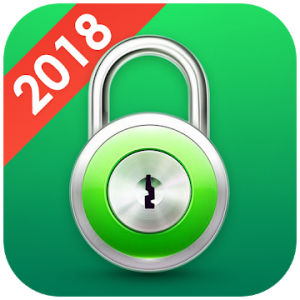 Lock up sensitive apps such us WhatsApp, Instagram, Facebook, SMS, Contacts, Messenger, Settings, Gallery, Gmail, Browser, Play Store with password lock. Prevent unauthorized access and guard privacy with lock pattern and applock. * Intruder Selfie – Max app lock watches out for you 24/7. App locker Secretly take a picture of those who try to lock your apps with wrong passwords in three times. Find out who are the curious ones! Max app locker will send the photo of the intruder to your messages instantly for privacy security. Photo Vault – MAX AppLock can translate pictures and videos from Gallery to a photo and video vault. You don’t have to worry about others seeing your private photos and videos with app lock. * Lock Disguise – With MAX Applock, no more questions like “Why it’s locked?”. Set up a fake screen to avoid unnecessary troubles. Others will see only a “Something went wrong”, instead of the actual app. With Max app lock, You can even lock your apps with fake error window. MAX AppLock will protect your privacy. ★ Fingerprint lock password is supported on specific devices that has the fingerprint sensor. ★ For other devices, we can support the PIN or Pattern password protection app lock fingerprint. ★ Fingerprint lock can support most of SAMSUNG 6.0+, LG, SONY, MOTO, HUAWEI, Xiaomi, VIVO, OPPO and so on. Such as LG Aristo, Galaxy S7 Edge, Galaxy S7, Galaxy S8, Galaxy S8+, LG K20 Plus, Galaxy J5 Prime, Galaxy J3(2017), Galaxy On5(2016), Galaxy Note8, HUAWEI Mate10, Honor V9, Redmi 5A, Xiaomi 6 and more. Other devices that has the fingerprint sensor.